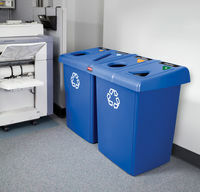 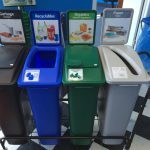 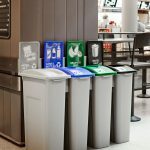 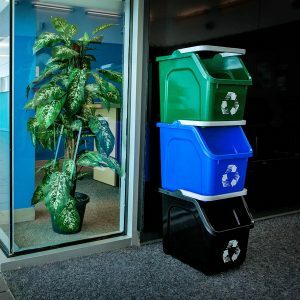 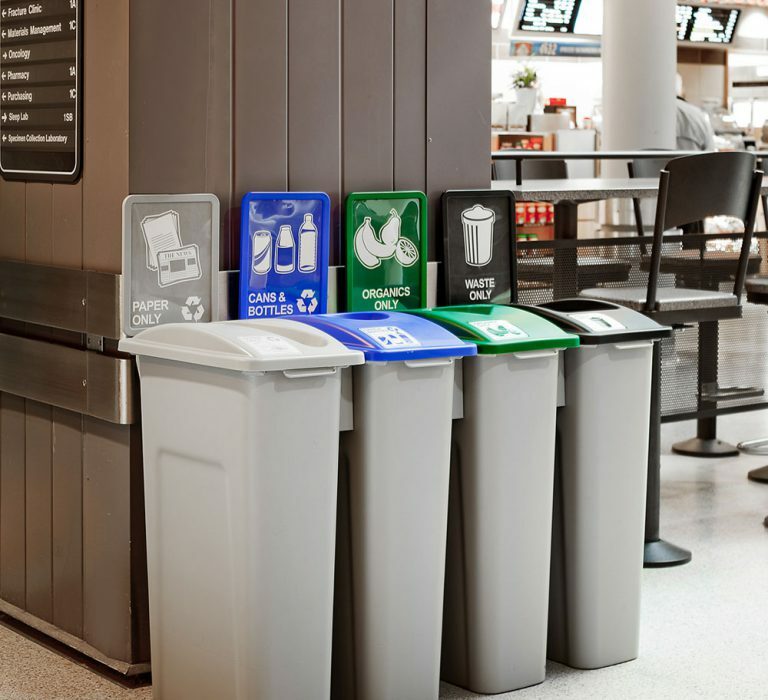 The Waste Watcher Series containers are versatile, customizable bins designed to streamline recycling and waste collection. 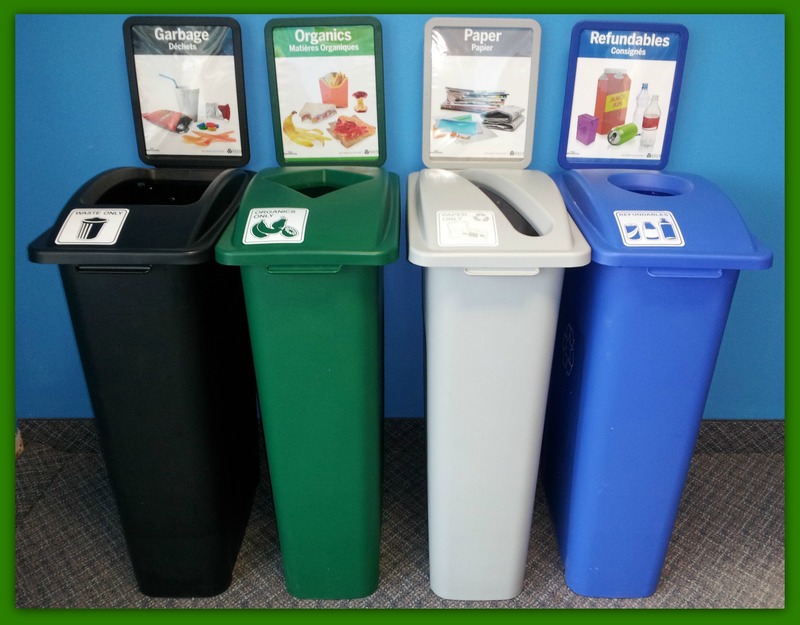 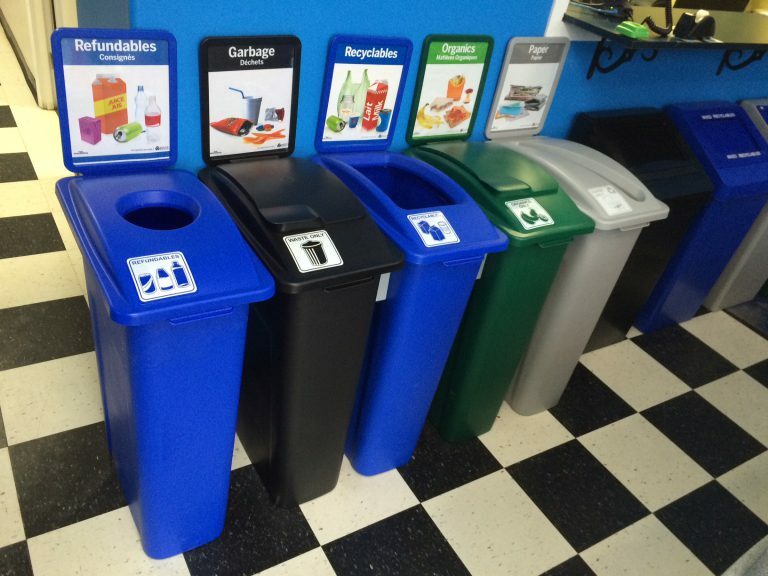 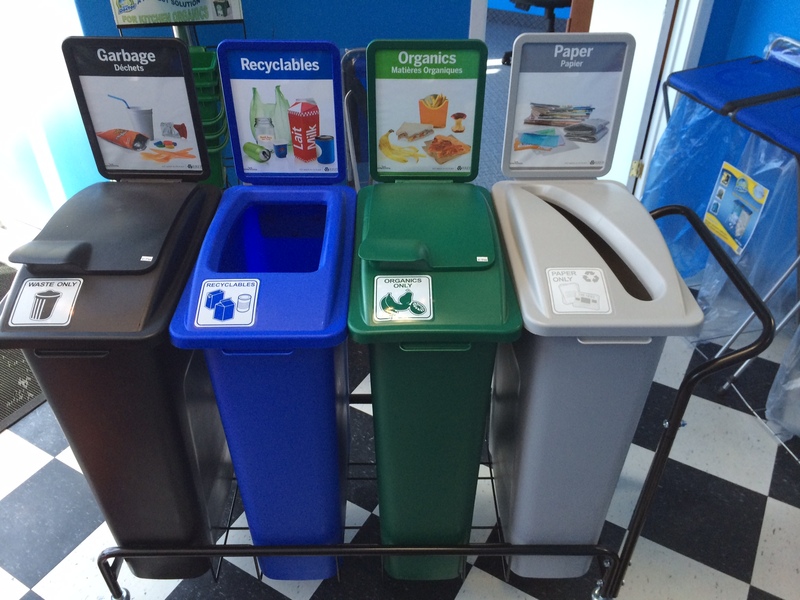 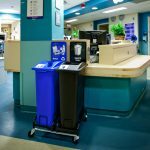 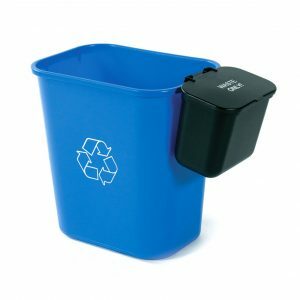 Perfect for in an office or school environment, the Waste Watcher comes with a bevy of lid and signage options. 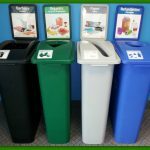 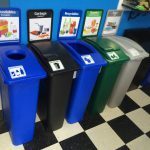 Recycling and waste will end up where it belongs allowing for an easy expansion of any recycling program. 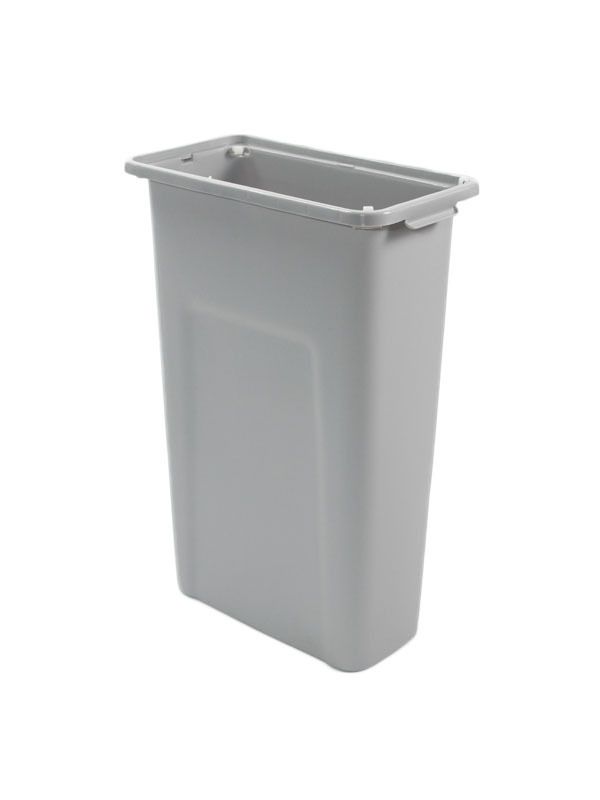 3 Capacity Options – 16, 20, & 23 Gallons. 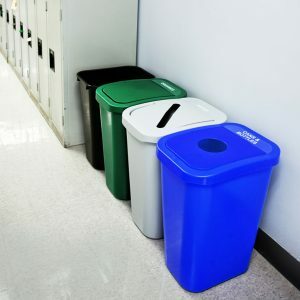 Multiple colour and lid styles. 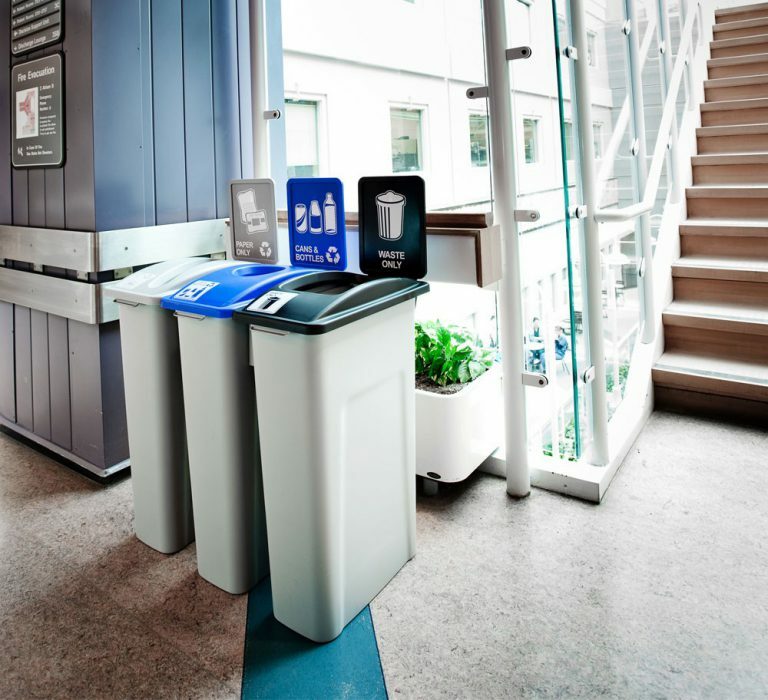 Solid and Vented Lift Lids to hide odours. 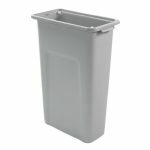 Easy Grip Handles for hassle free moving. 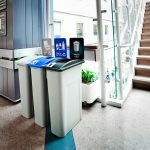 Internal hooks to keep bags hidden and secure.